Fee: $25/$20 members - includes an autographed copy of Moonlight Over Paris, refreshments by MKELocalicious and admission to the sculpture garden. Bronze Optical invites you to arrive early to browse a diverse, vibrant selection of frames--mirror provided, of course!--while they clean and tighten the screws in your current eyewear. Register by phone at 414-446-8794. 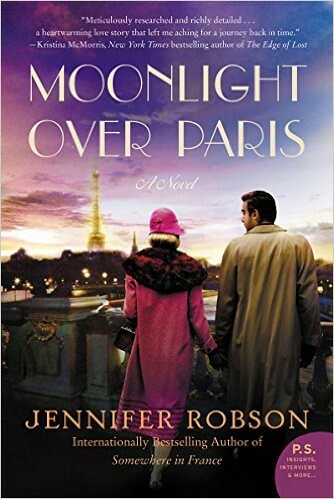 Lynden Sculpture Garden's Women's Speaker Series, Bronze Optical, and Boswell Books welcome Jennifer Hobson, author of Moonlight Over Paris, to the Lynden Sculpture Garden, Thursday, January 21, 7-9 pm. "I first learned about the Great War from my father, acclaimed historian Stuart Robson, and later served as an official guide at the Canadian National War Memorial at Vimy Ridge, France. I studied French literature and modern history as an undergraduate at King’s College at the University of Western Ontario, then attended Saint Antony’s College at the University of Oxford, where I obtained my doctorate in British economic and social history. For a number of years I worked as an editor but am now fortunate enough to consider myself a full-time writer. I am represented by Kevan Marsal of the Marsal Lyon Agency. I live in Toronto, Canada, with my husband and young children, and share my home office with Ellie the sheepdog and Sam the cat."